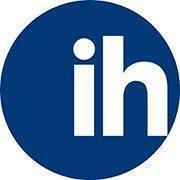 International House offers courses of Ukrainian and Russian for foreigners. As mostly we have one-to-one or two-to-one classes, we take into account the clients’ needs, their previous language learning experience and priorities. We use communicative methodology so that the students could start speaking as soon as possible to be able to communicate in any formal or informal situation. Our students are mostly foreigners who work or study in Lviv and also those who come to Lviv to learn Ukrainian in language environment. The school has extensive experience of creating tailored courses to satisfy individual clients’ needs.